I bet “a new bike” is on plenty of Dear Santa letters. 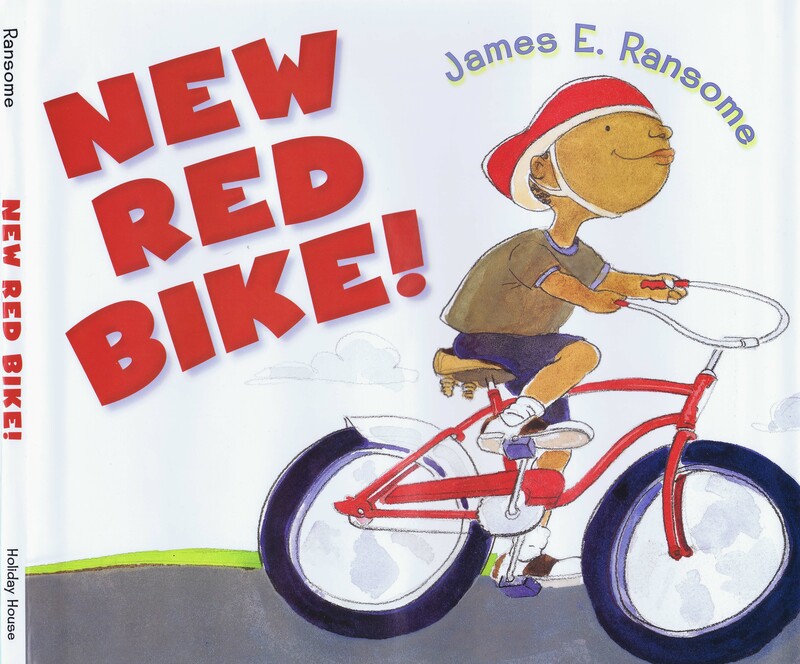 Whether Santa agrees or not, every child should have a copy of New Red Bike. It’s a deceptively simple story of friendship—an even greater gift. Join James in his studio to understand how it evolved. Listen. Isn’t that Get the Funk blasting on his playlist? As a young child, I recall coloring with my stepsisters, spread out on the living room floor of an apartment building overlooking a park in Passaic, New Jersey. There, I envied their ability to create masterpieces with the crayons they chose. Their talents seemed so natural and effortless. The Influence of comic books . . . This, along with television cartoons, was my first exposure to art. Just a few years later, while living in a small home with my grandmother in Rich Square, North Carolina, my own artistic abilities began to blossom. It could have been the quiet, rural setting or maybe it was simply boredom that found me day after day, curled up on a couch with wads of paper, pencils and my favorite comic books. I used these comics as reference to copy again and again, while the television rambled in the background. In my work as an illustrator creating books, I continue to use a simple technique. 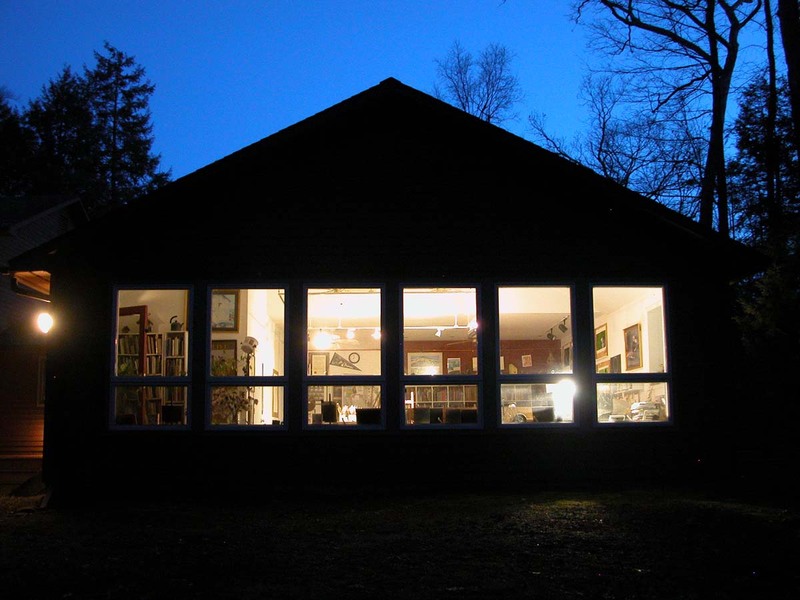 The only difference is that now I create in my studio in upstate New York. Instead of a television, I create to the strains of my favorite jazz station or Parliament Funkadelic music. Dear Santa, please . . .
New Red Bike is in many ways a throwback to my youth. A simpler, uncomplicated time where summer days were spent outdoors, exploring and playing with friends in the woods behind my home. I feel that many of the books today are geared more toward adult tastes. And often there are few books with African American characters for very young readers. 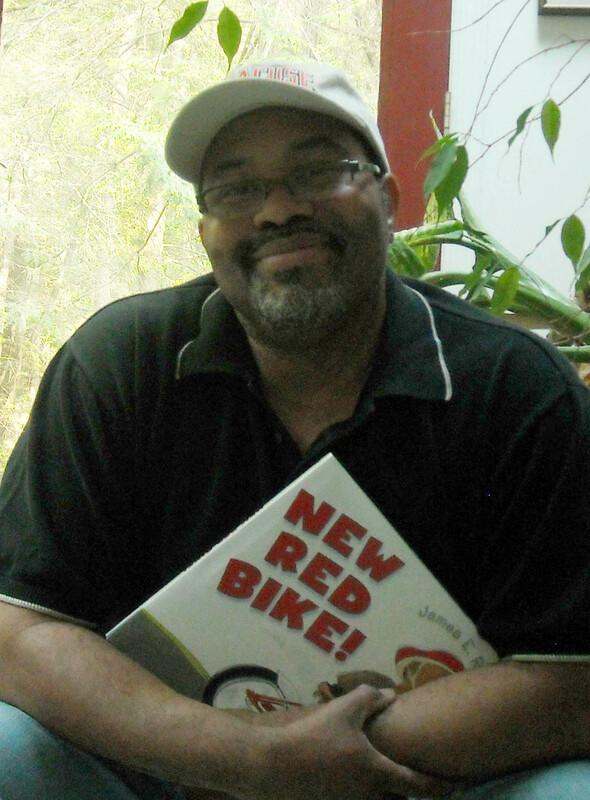 New Red Bike was my attempt to offer a fresh take on children’s classics featuring an African American character. New Red Bike . . . 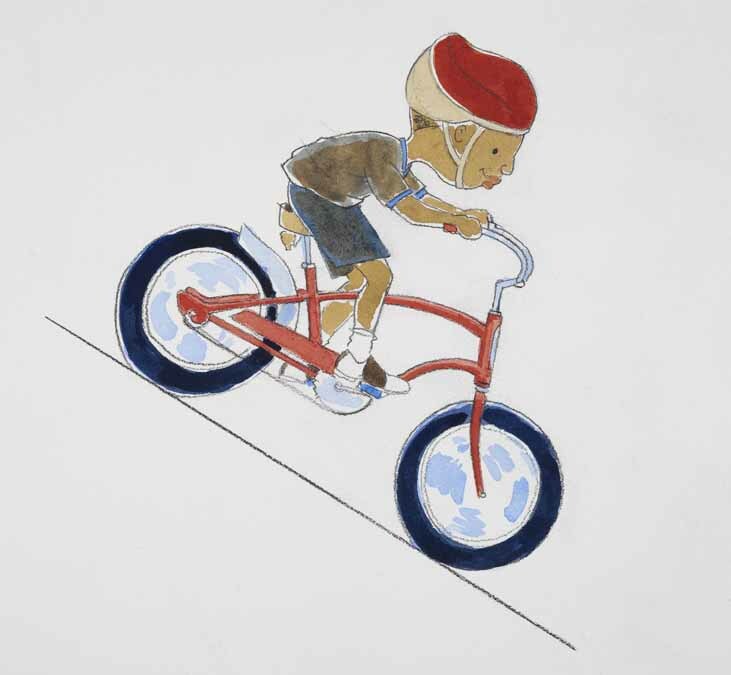 The first part of story focuses on spatial movement, when Tom, a young boy who receives a bike as gift from his parents, rides, up, down, back and forth, round and round. The second part of the story touches on the importance of sharing. I was striving to create text that could be easily deciphered by a younger child, and, to that end, I owe a good deal of credit to my editor, Mary Cash, who helped me shape this story into one that manages to keep it’s appeal to a younger audience. Professor Ransome . . .
are very separate processes that each require a specialized and individual approach. As a professor of illustration students, I often tell my students that at some point you need to go in a corner with your materials and figure things out. In writing, it is the same. You need the space to tell the story you want to tell in the way you want to tell it. When I complete the writing process, often between other illustration projects I am working on, I then turn my attention to the pictures, and just as if I were illustrating a book submitted by a writer, I comb very carefully through the manuscript to develop a unique way to tell the story with images. Why James creates art . . .
book has always provided me a sense of solace and a way to express myself artistically. 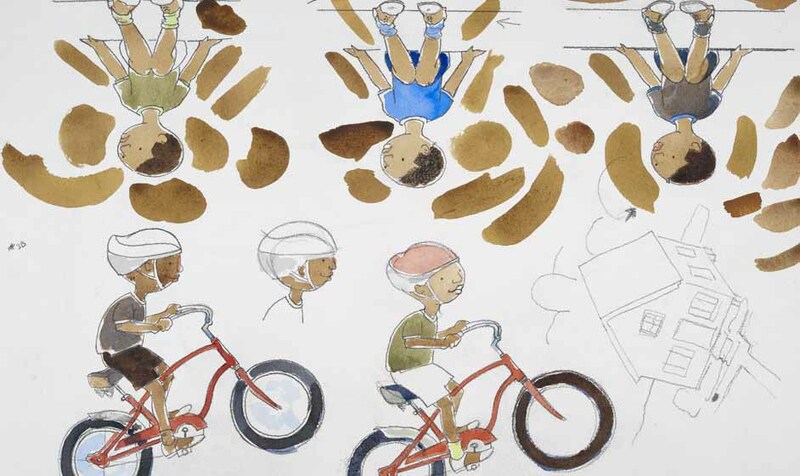 Check out James Ransome’s website to learn more about his amazing body of work. You can also find him on Facebook. The New Red Bike is published by Holiday House. This is such a timely post. I have a list of books I am purchasing for the holidays to donate to a number charities…I am adding this to my list!